Florida will always be a nostalgic destination. I grew up roadtripping there every summer with my two sisters and mother to visit the town where she grew up. For most it's a place where the snowbirds go, but Florida for me will always be the feeling of youth. Both of my parents live there now. One is close to Orlando and the other is in Fort Walton Beach, so whenever we're in the south we jump at the opportunity to make a visit to those places now. I have gotten to show Victor some of my secret spots I found while living in Florida for a short period of time after college. After painting the Greetings from Orlando mural we drove down to Key West celebrating our first full year on the road in 2016. We visited the Hemingway House where we saw cats with 6 toes and had a key lime pie tasting contest. The winner was Key West Key Lime Pie Co. We figured out that renting bikes was the best way to see Key West and left our RV at the campground where we stayed for a couple nights. The best beach we found was Smather's Beach where we put our hammock between two palm trees and called it a day. Getting back to the mainland, we quickly visited Everglades National Park, then went along the coast to St. Augustine and Jacksonville. 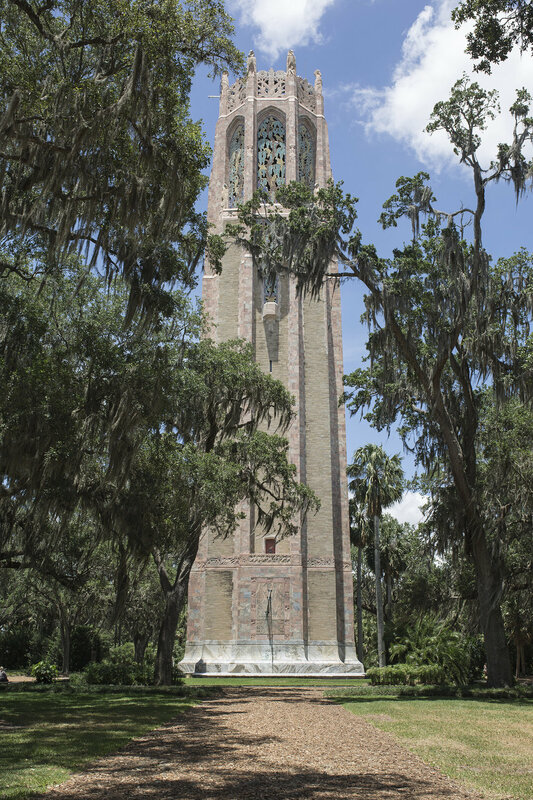 We've been to Florida a few times since being on the road and places we return include Ocala National Forest and Bok Tower Gardens.